Conservation plays an important role in water resource management. The Medford Water Commission has updated its Water Management and Conservation Plan, which contains projections for the next 50 years. The plan will be reviewed in five years and a new plan will be required in 10 years. The Commission offers a variety of resources, services, programs and information to help you meet your water conservation goals and save money as well. Get inspiration and ideas for creating beautiful water-efficient landscapes at our Water-Wise Gardening website, which features hundreds of photos of Rogue Valley gardens and the ability to save your favorite plants to a personalized list you can print and take with you to the nursery. Call 541-774-2460 or visit this page during the summer months to learn how much water you need to apply each week, based on local weather trends. 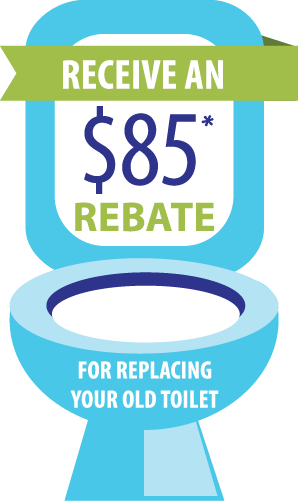 The Commission offers two types of rebates to our retail customers for installation of WaterSense® certified toilets and smart irrigation controllers. To participate in one of these money-saving programs, visit our rebates page for more information! Free sprinkler system checkup is offered to Medford property owners in the summertime. Call our conservation team at 541-774-2436 to schedule your appointment. Kids can help save water too! There are many activities that you can try at home as well as other websites that offer games and more information about how to get water smart.